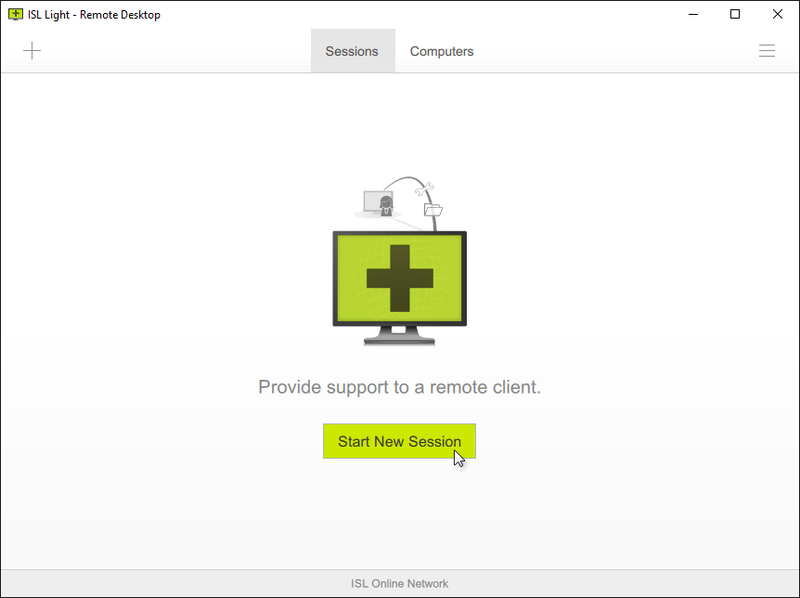 Follow these steps to control remote desktop. 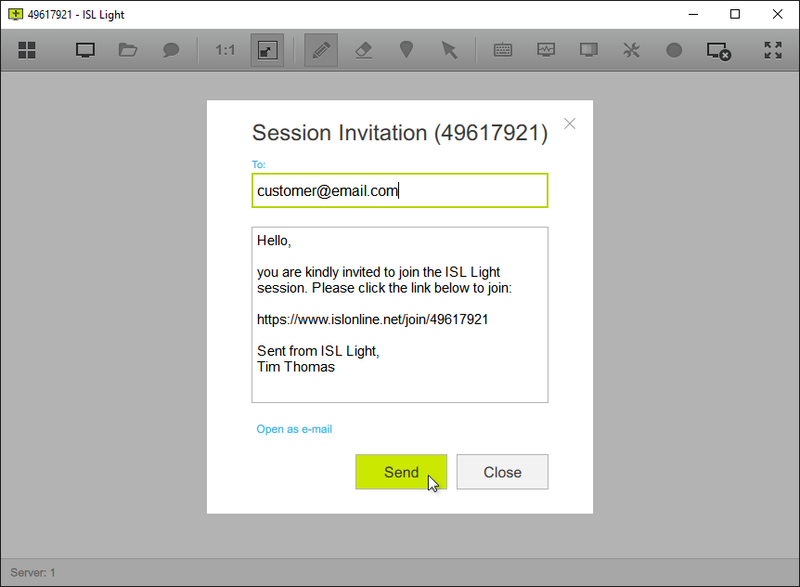 Open ISL Light and type in your username and password, and click the "Log In". Click "Start New Session" button. The session code will be generated. Note: Click the "+" button in the top left corner for additional options. 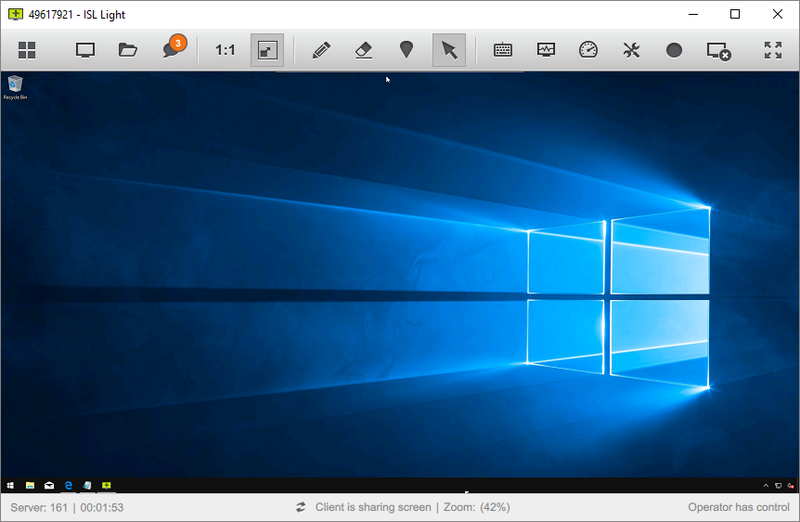 Click "Invite" button to open session invitation. 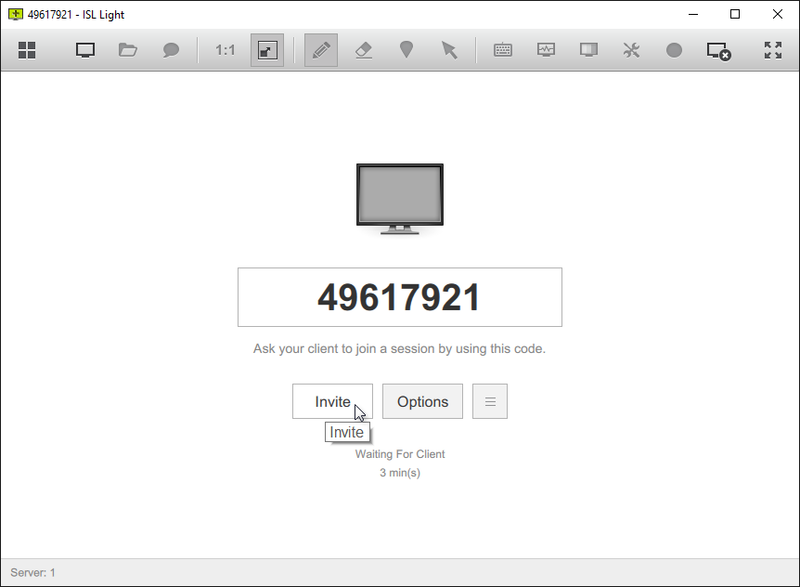 Note: Click on "Session Code" to copy/paste the session URL or session code. 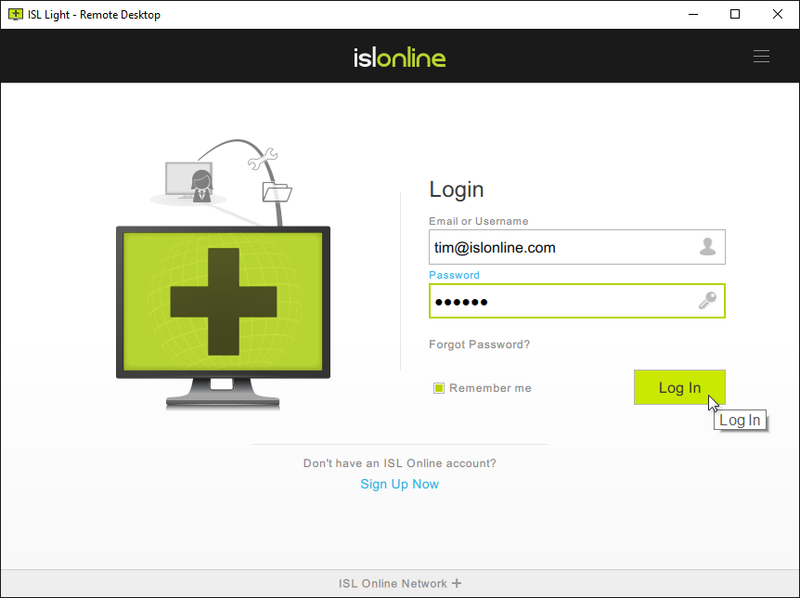 The client runs the link or enters the session into ISL Light Client or at www.islonline.com/join. Type customers email and click "Send" button. Once customer runs the "email invitation" link on his computer you will be connected. Now you can control remote computer.